This mixture is whole wheat cheerios, pretzels, raisins and sprinkled some sugar cinnamon mix on . Mixed and divided into baggies. Yummy!!! This mix is strawberry wheaties, chex cereal, raisins, and pretzels. I didn’t add sugar or anything to this one since the wheaties had a strong strawberry flavor. When I started, I had these grand pictures in my mind as to how to decorate the containers, then I realized that I was going to be storing them in the freezer and that just wouldn’t work. So on the inside of the container, I taped in a label. Voila! Not pretty, but functional and handy!!! Mini Cupcakes (I’d stick with two for these! Great idea to reuse! My son learned about reusing things at school and it’s a “fight” to get him to let me put something in the recycle because he always wants to find another use for it. What yummy and fun ideas!!! Thank you so much for linking up with us. We have featured you at Nothing But Country this week. Thanks for your wonderful Creative Creation!!! 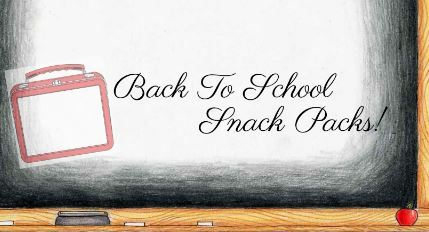 This is a great snack fit for kids or adults! Thanks for sharing at Savvy HomeMade Monday. I hope you will party again tomorrow! So smart to use them for organization! I love that the snack mix is made ahead for easy snacks. Thanks for linking up with DIY under $5! This is so fun!! Great way to reuse what you already have. Yummy snacks, too! Thanks for linking up!!! I’d love for you to link up to our Crafts for Under Twenty Somethings Party going on now until noon Saturday! Thanks for linking to the party. Hope to see you again this week. What a great idea! Great way to recycle!! !